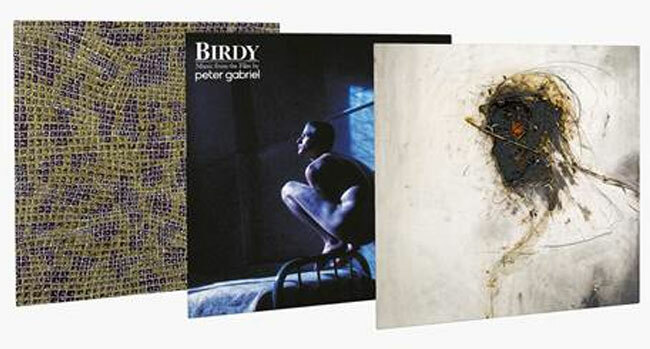 Over the last two years Peter Gabriel’s seven studio albums have been reissued on vinyl to much critical acclaim. Gabriels three soundtrack albums are to receive the same treatment on July 28th internationally through Real World via Caroline International. Birdy, Passion and Long Walk Home have been Half-Speed Remastered and cut to lacquers at 45 RPM to deliver maximum dynamic range in the sound. Birdy and Long Walk Home are released across double heavyweight LPs whilst Passion is on triple heavyweight LPs with music on five sides and a special etching on the sixth side. The vinyl was cut by Matt Colton at Alchemy Mastering, mastered by Tony Cousins at Metropolis and overseen by Peter’s main sound engineer Richard Chappell. Each limited edition numbered LP will be released in gatefold sleeves that utilize original artwork with additional film stills. All images are newly re-scanned. Each vinyl will contain a download card with the choice of 24 bit hi-res or 16 bit digital copy. “I’ve always loved film music and I’ve been lucky enough create music for three very different kinds of film, that became the albums Birdy, Passion and Long Walk Home. All the films share strong stories and memorable performances. In each case they also have musical directors in the shape of Alan Parker, Martin Scorsese and Phillip Noyce, who really care about, and feel, the music they work with. They each allowed me to create moods and atmospheres within the music that I felt could serve their narrative,” Gabriel says in a press release. Birdy marks the first occasion that Gabriel worked with producer Daniel Lanois who went onto co-produce both Gabriel’s So and US albums. The soundtrack to the Alan Parker movie of the same it finds Gabriel flexing his creative muscles free of any commercial pressures and has a number of tracks built out of elements of existing tracks from Gabriel’s third and fourth solo albums. Passion – Music for The Last Temptation of Christ was released a year after Martin Scorsese’s controversy-laden film and tends to be regarded as a work in its own right rather than just being a movie soundtrack. It features additional music that was not included in the film. This extra material was the result of Gabriel continuing to record and to resolve “unfinished ideas.” Passion Sources, the companion album to Passion, is also being reissued on July 28th as part of the vinyl reissue series via Real World. Long Walk Home is an album based on the music from the film Rabbit Proof Fence. Written and produced by Gabriel, the album is the end result of two years work with the film’s director Phillip Noyce and brings together a multitude of different musical origins, cultures, instruments and vocalists. Gabriel is currently in the studio working on music.